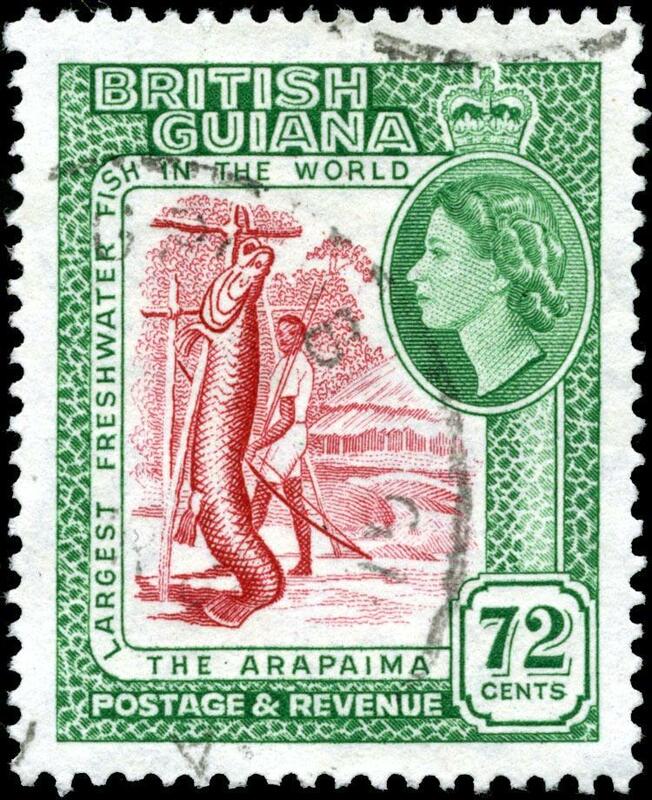 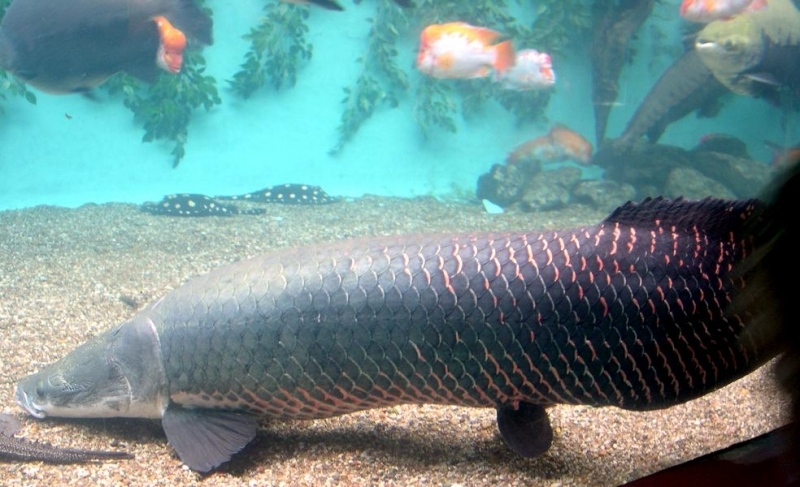 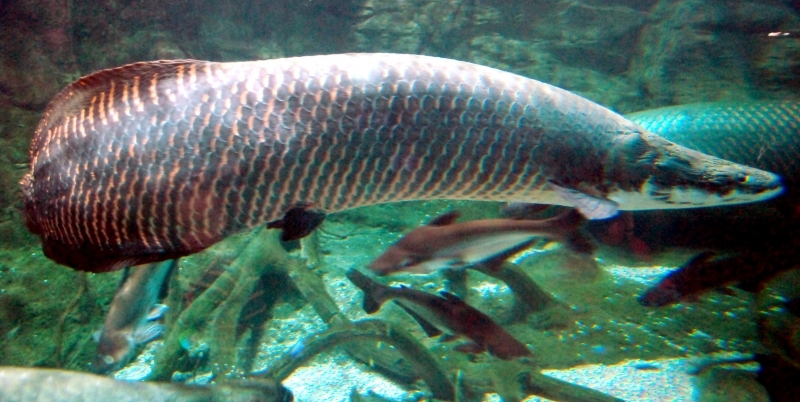 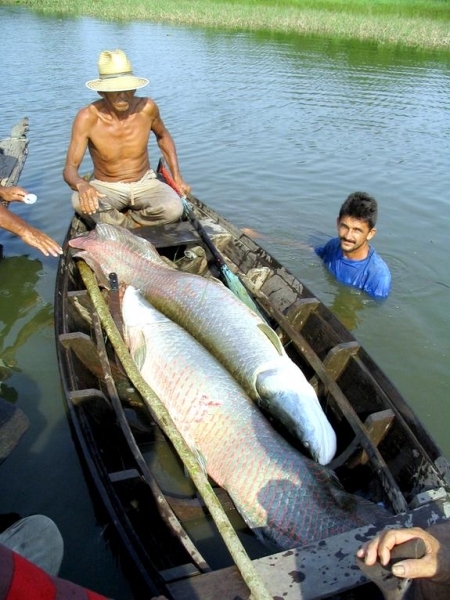 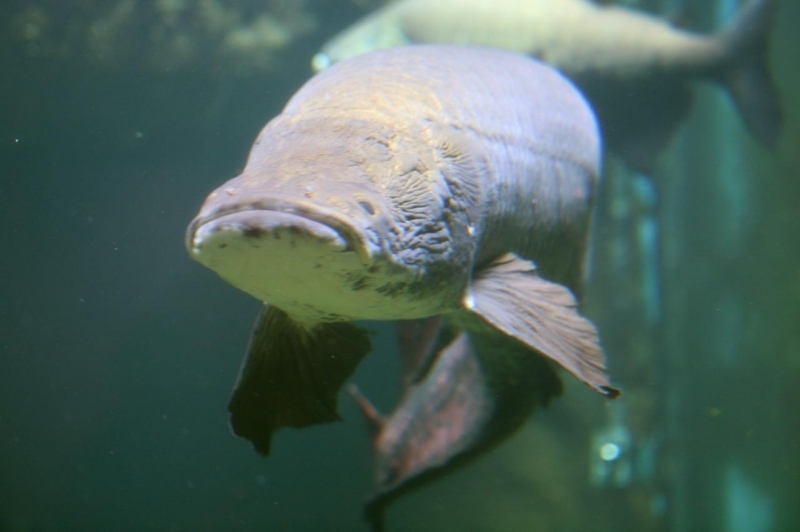 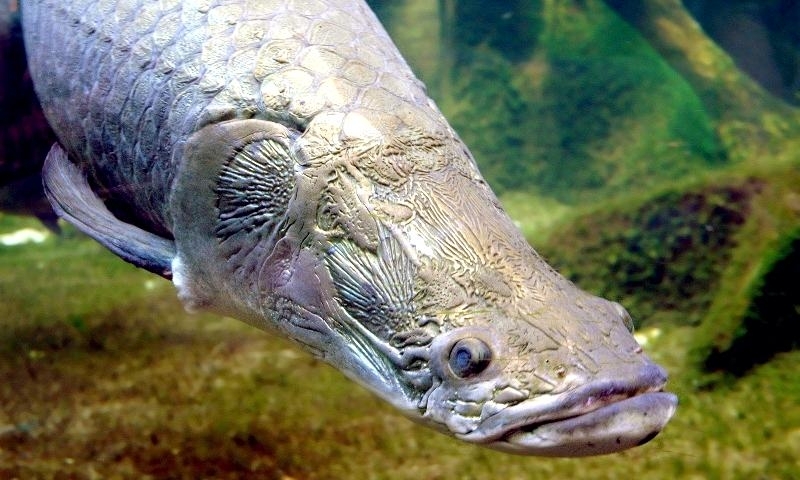 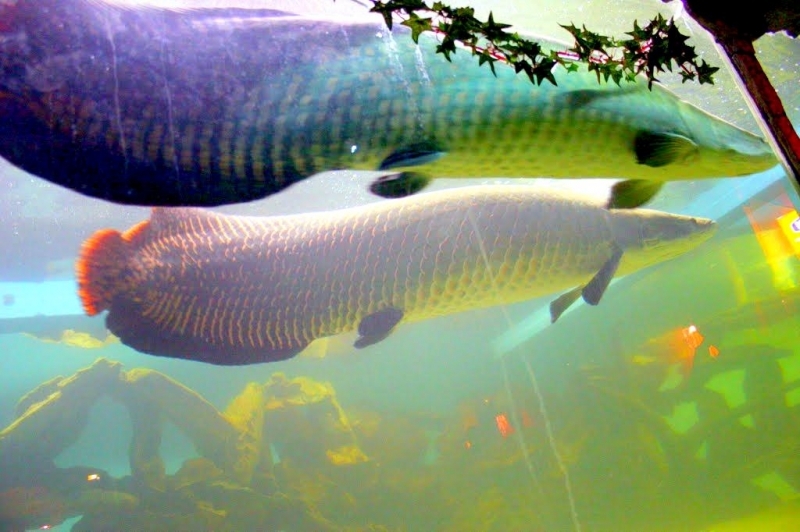 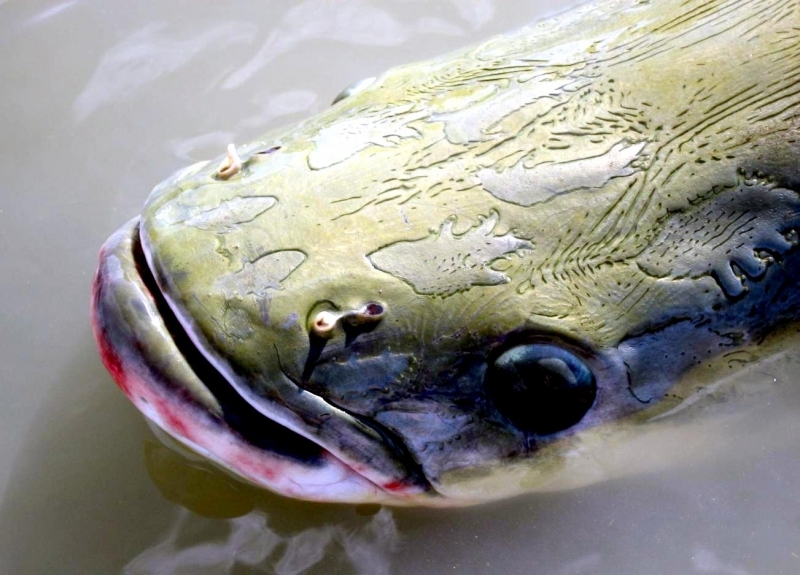 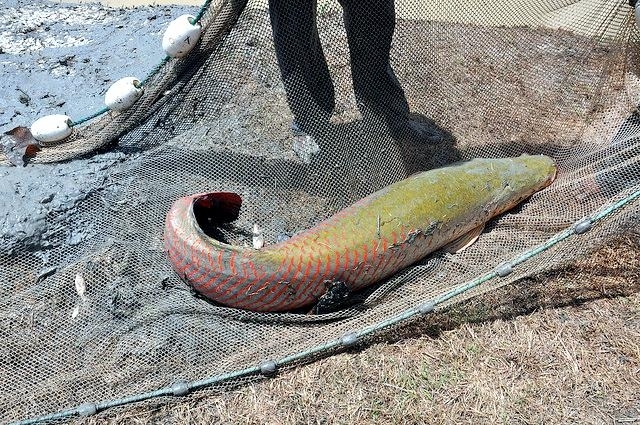 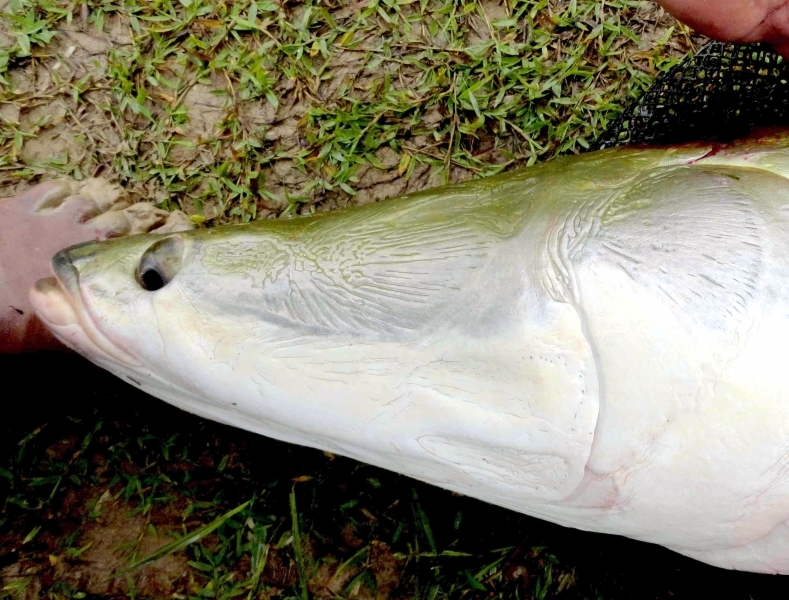 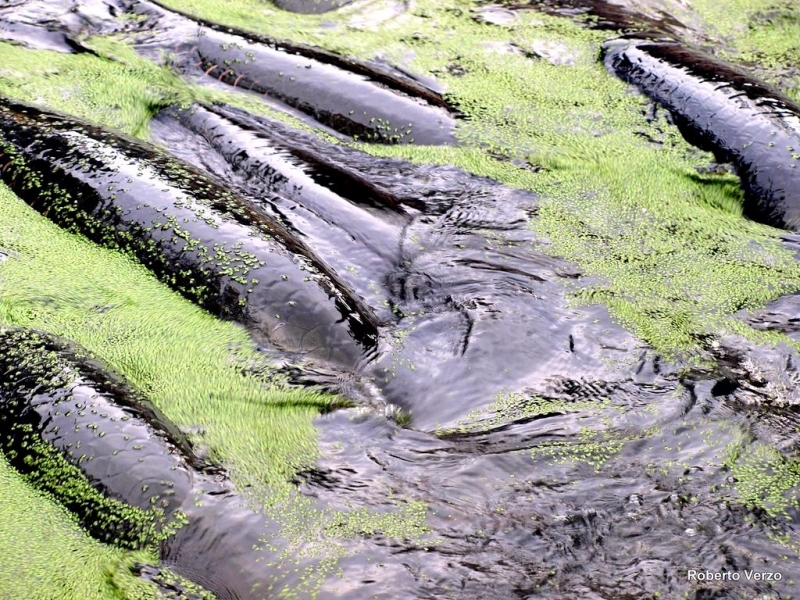 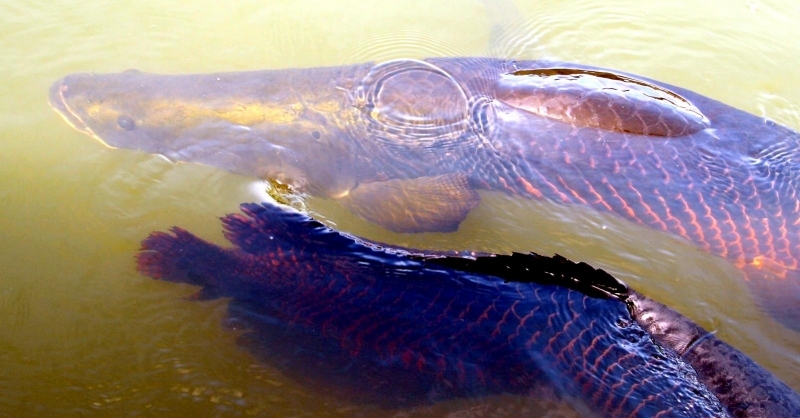 The Arapaima is one that has many legends surrounding it. 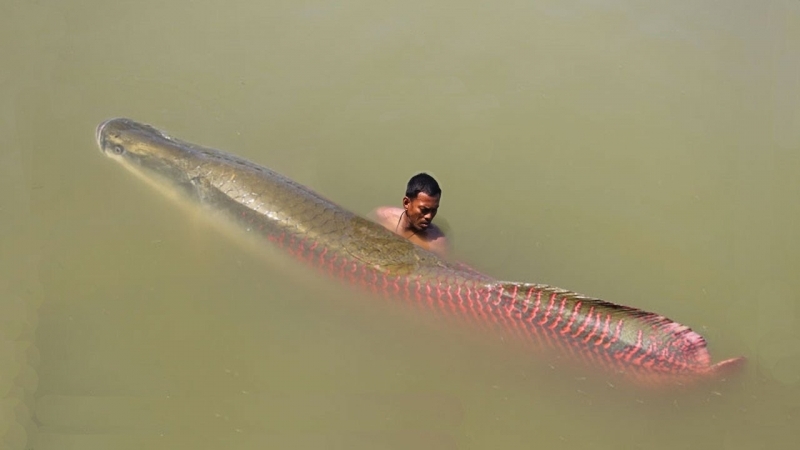 One of them is that it is a man eater however, no such credibility has been given to those stories. 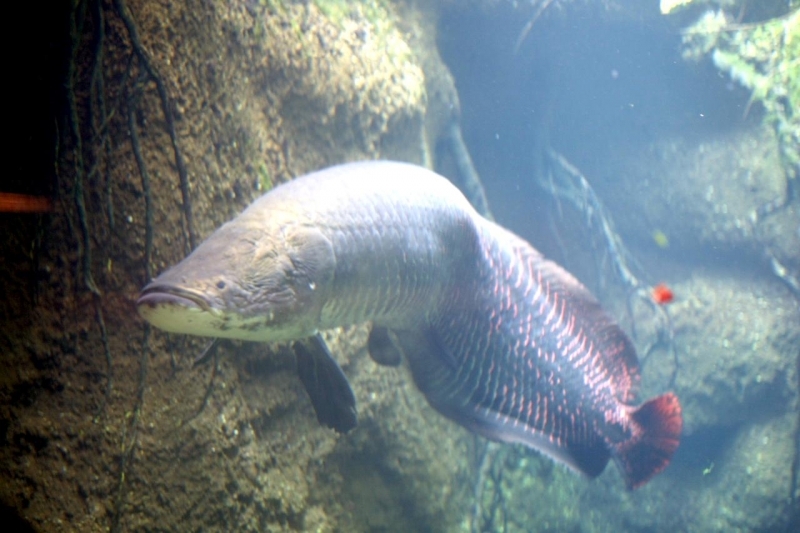 Its local name, pirarucu, derives from the indigenous words for “pira” meaning “fish” and “urucum” meaning “red”, the Arapaima is also known as the paiche. 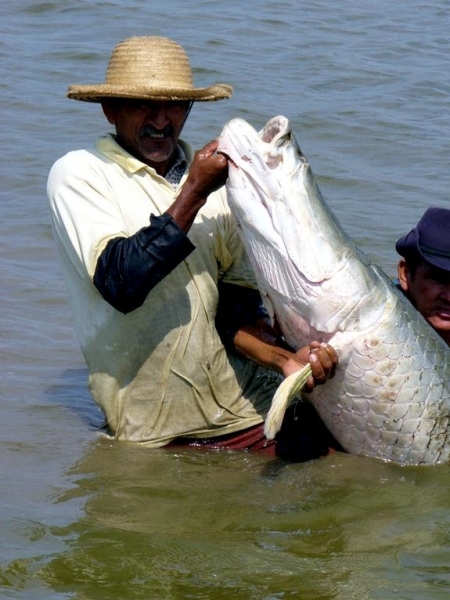 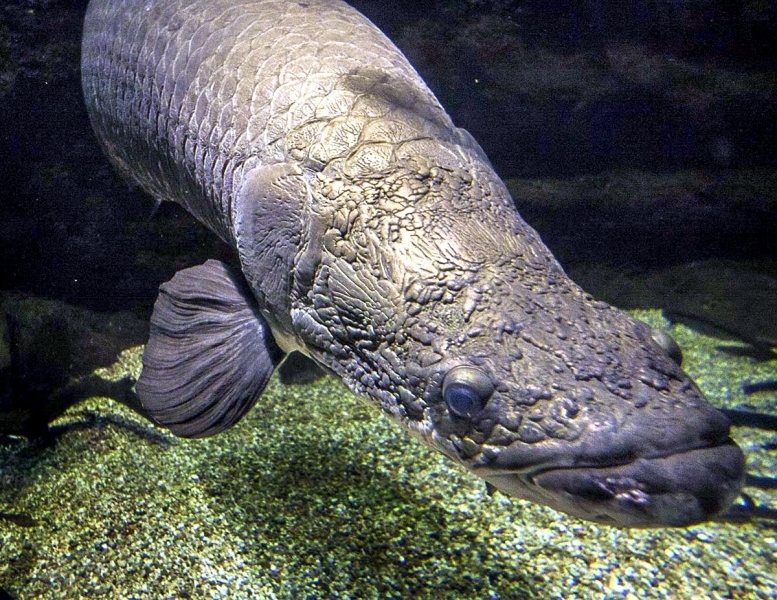 One of the world’s largest freshwater fish, they are known to reach up to 10 feet (3 meters) in length and perhaps even weighing in excess of 400 pounds (180 kilograms). 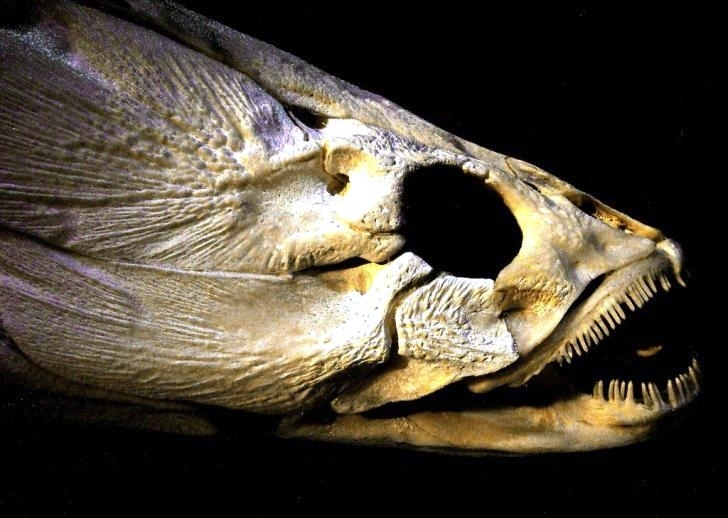 This species is also one of the rare air-breathing fish in existence which means it needs to come up to the surface to breathe. 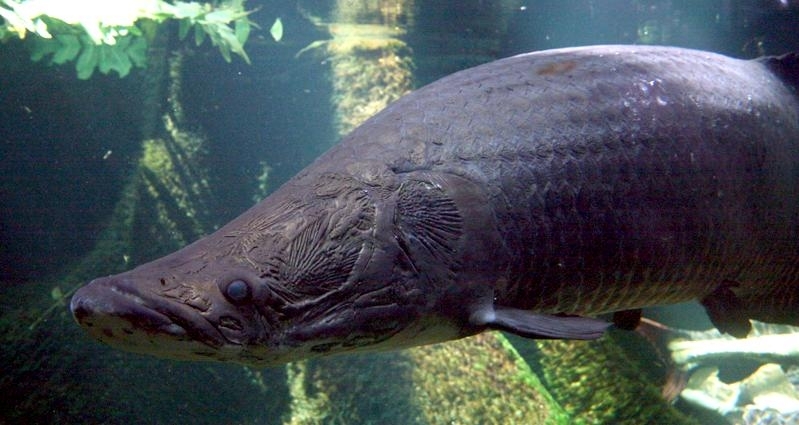 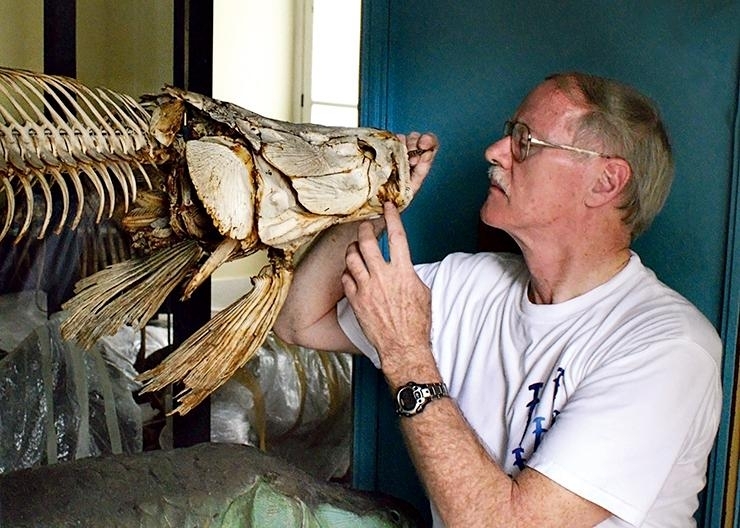 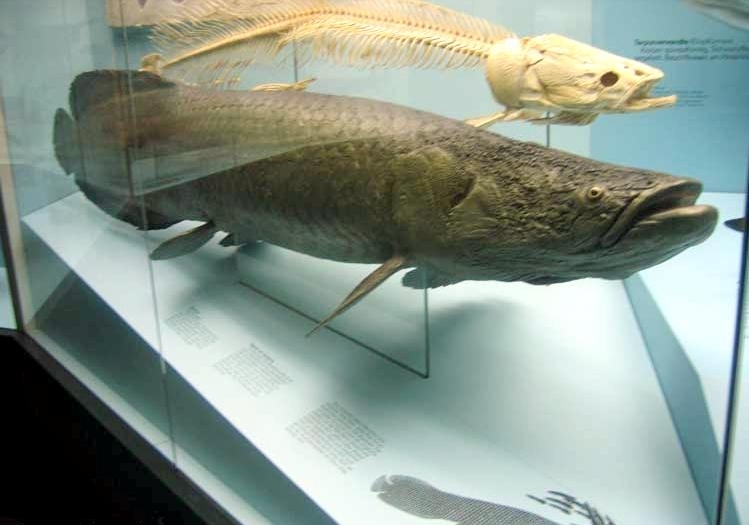 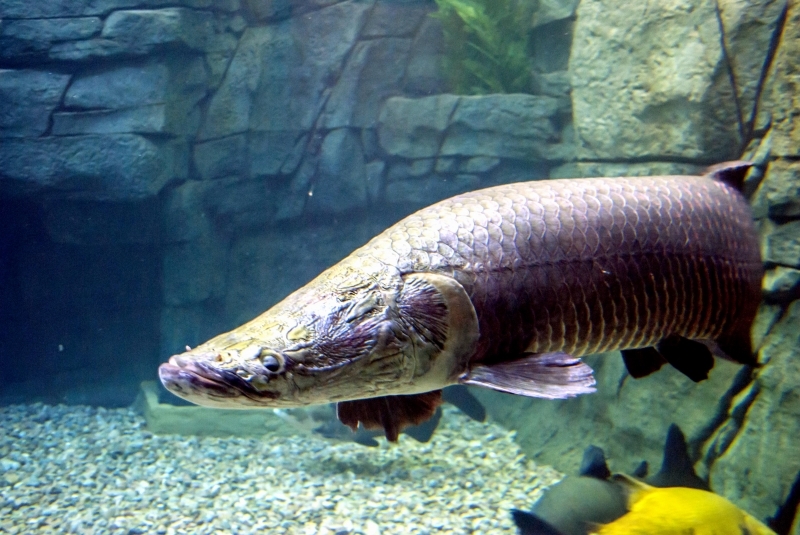 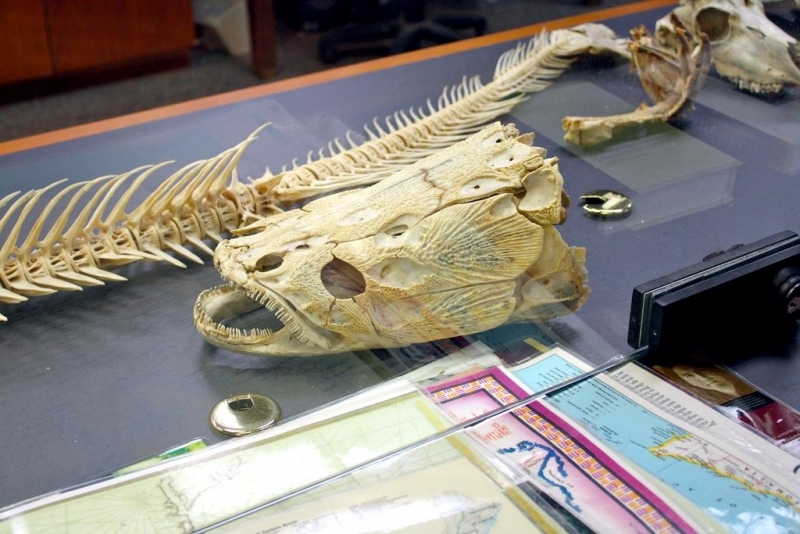 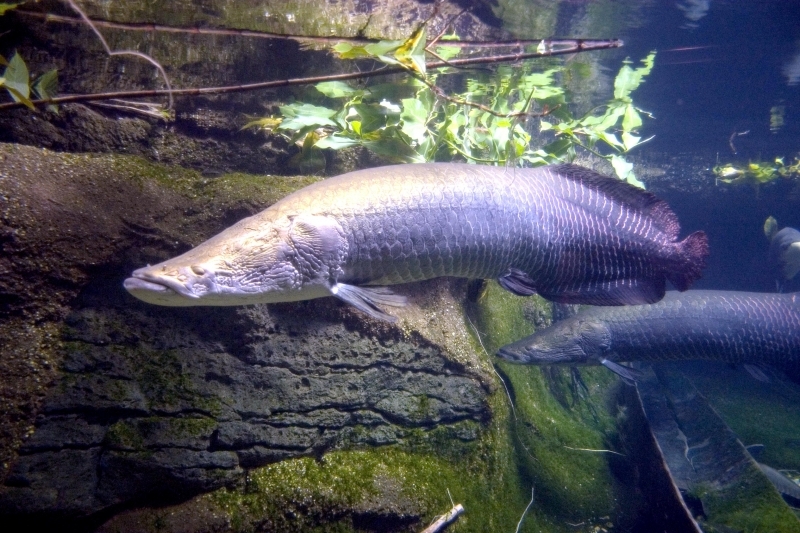 Fossil records show that the Arapaima has been living in the waters of the great Amazon River since the Jurassic Period, so this truly is a prehistoric creature. 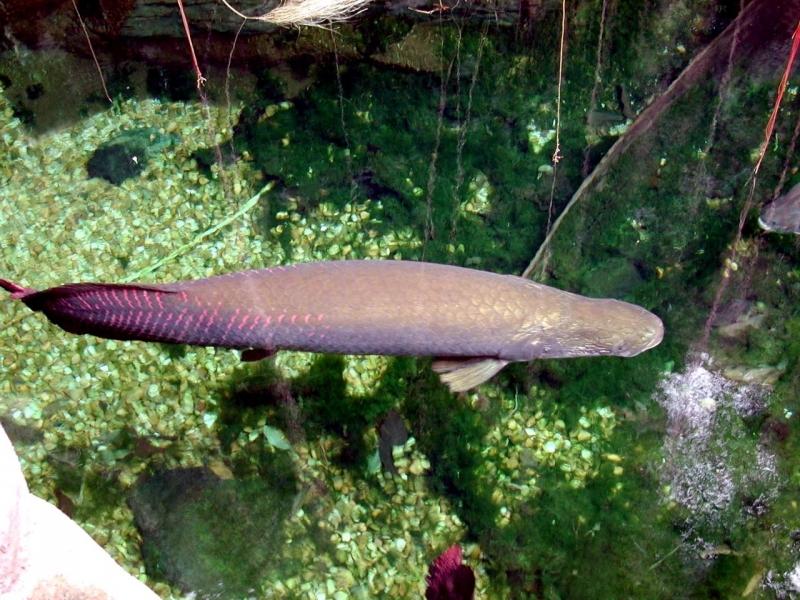 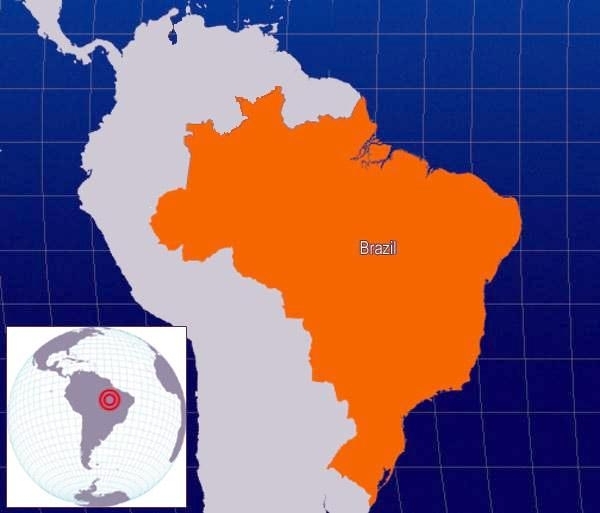 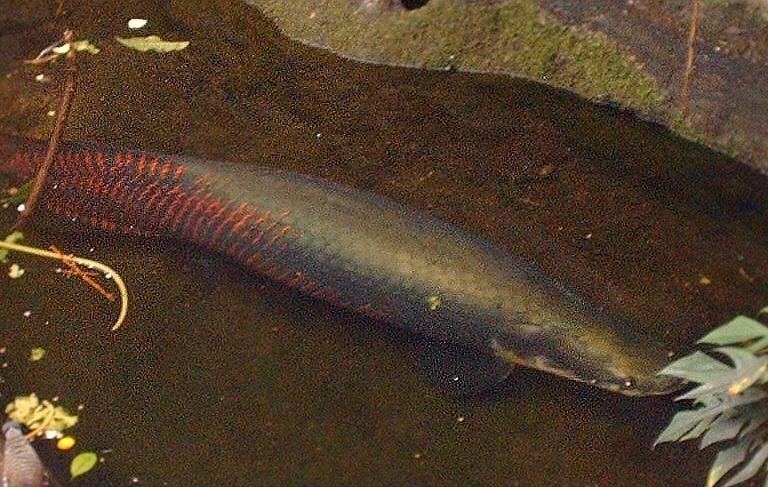 South America is the location of the Arapaima living in the Amazon River basin tributaries all around this area. 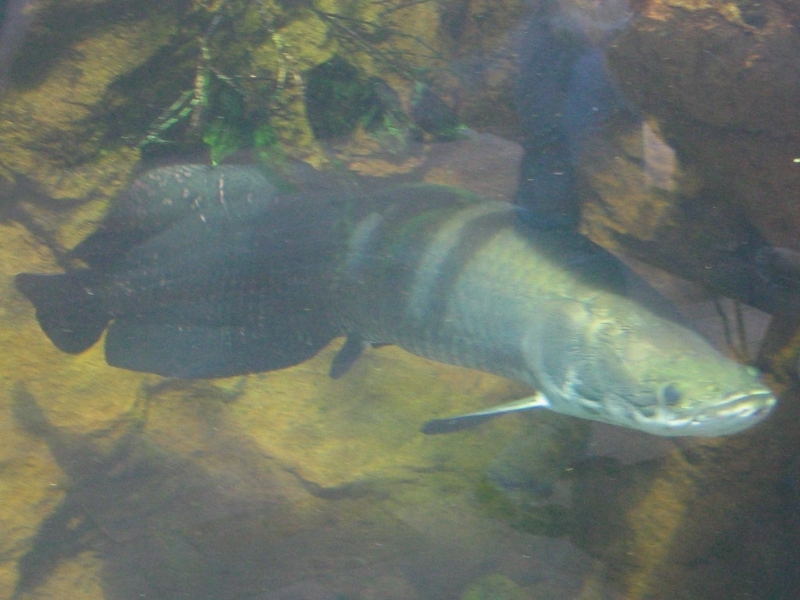 They are very common in the flood plains after the rainy season. 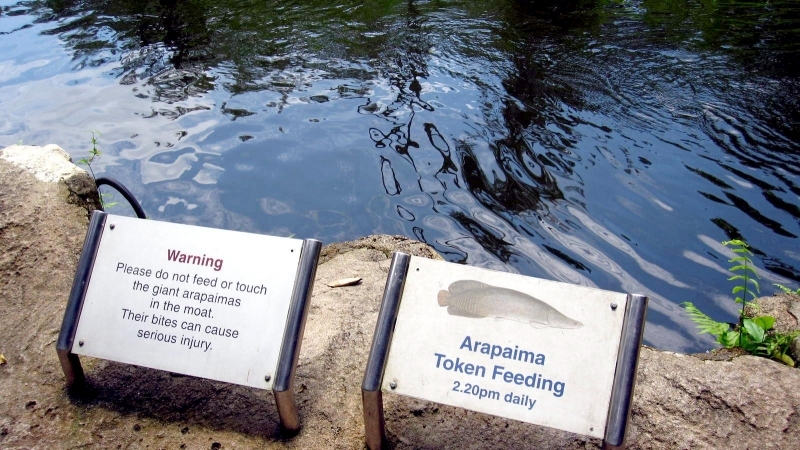 They have a limited distribution though due to the rapid flow of water and even waterfalls and are not able to navigate in such territories. 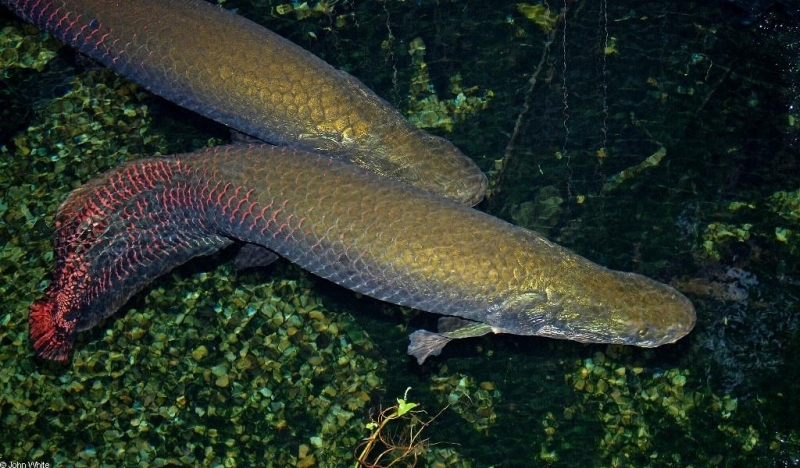 They are extremely wide, have a gray scaly body and a tapered head. 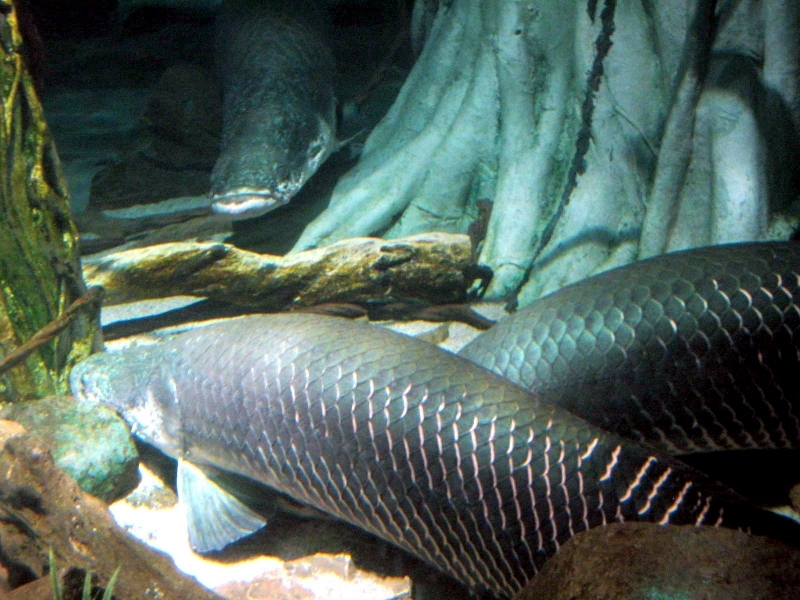 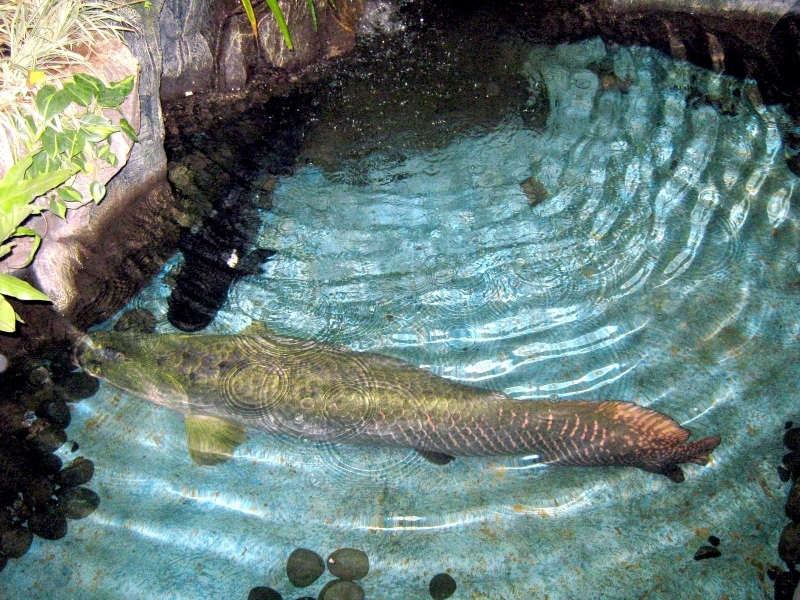 The Arapaima can stay underwater for around 10 to 20 minutes but they choose to remain near the surface of the water generally. 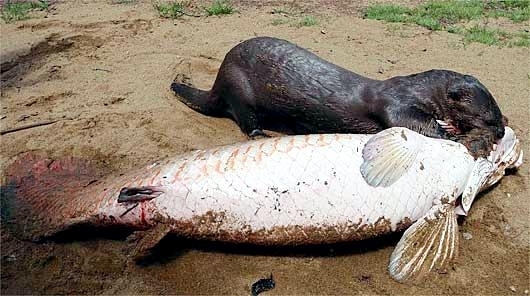 This is so they can hunt and emerge to breathe. 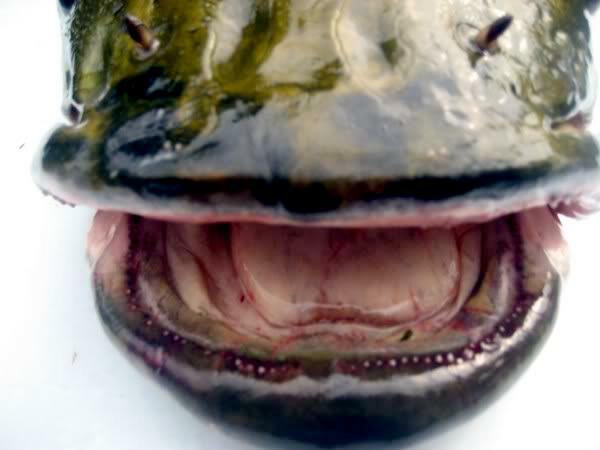 On emergence, they make a huge distinctive coughing noise. 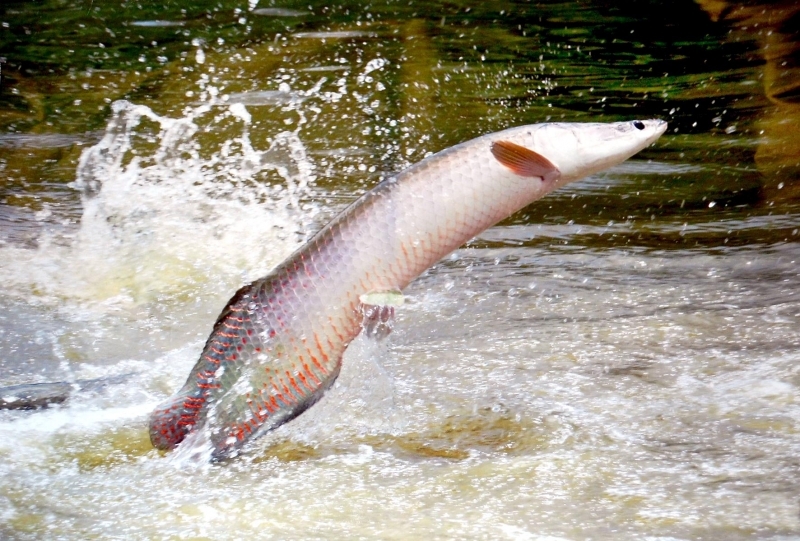 This species feasts mainly on fish but occasionally gets lucky and grabs a bird flying low over the water’s surface. 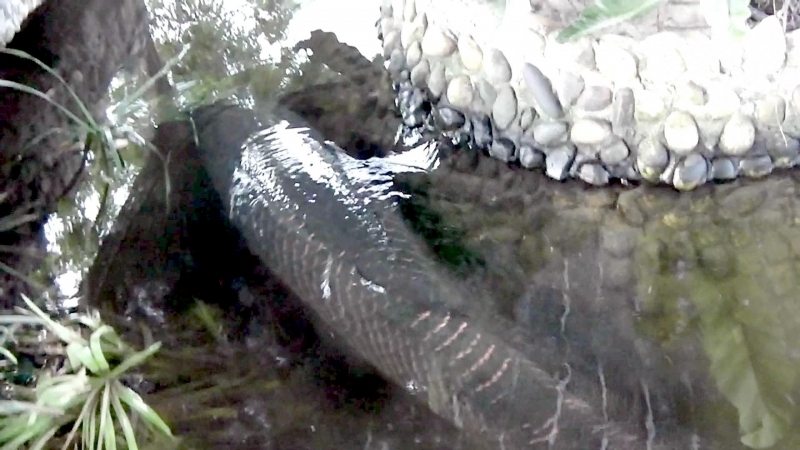 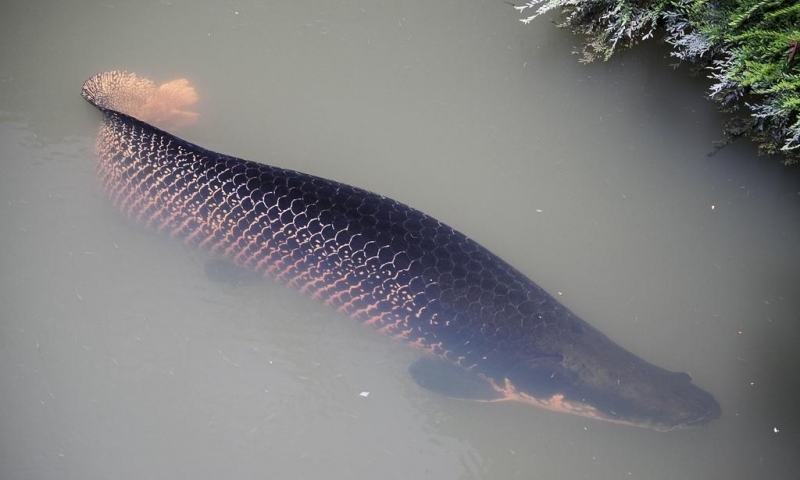 Unfortunately, the need to remain so close to the water’s surface makes it highly vulnerable to human predators and the Arapaima often finds itself harpooned. 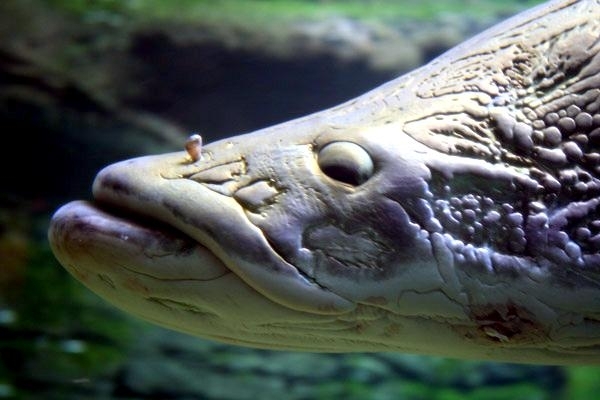 Tribes indigenous to the Amazon area, are known to make jewelry out of its scales and consume its tongue as meat. 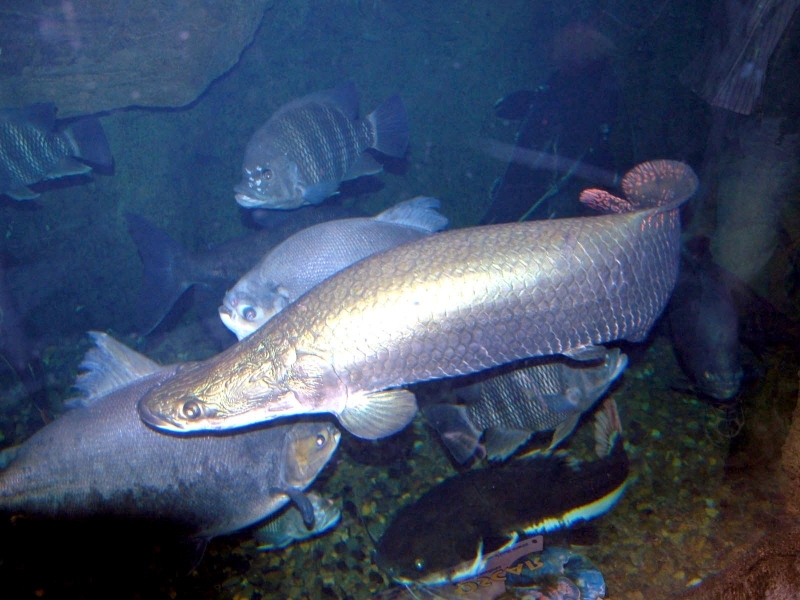 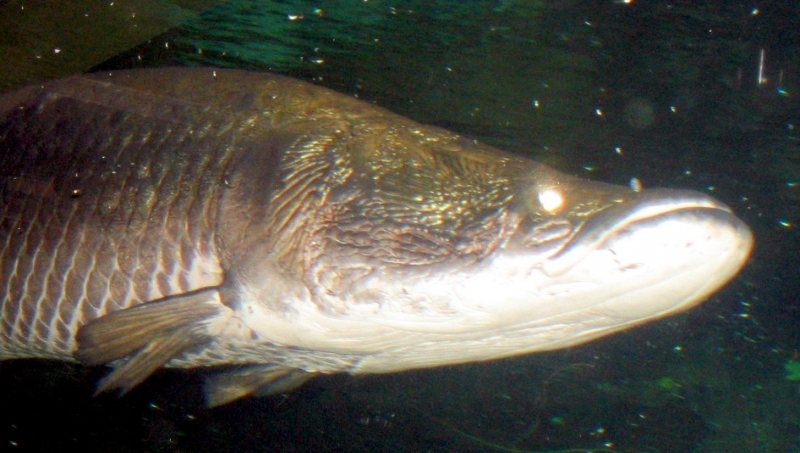 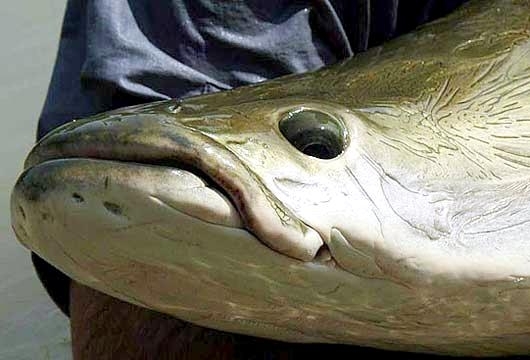 People also have been known to enjoy fish steaks from the Arapaima but in Brazil at least commercial fishing is banned. 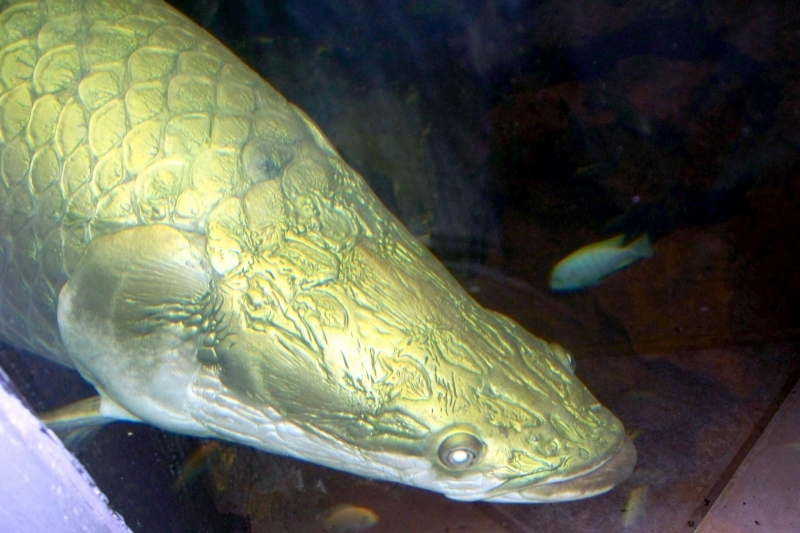 Its reproductive cycle is governed by the Amazon’s floods. 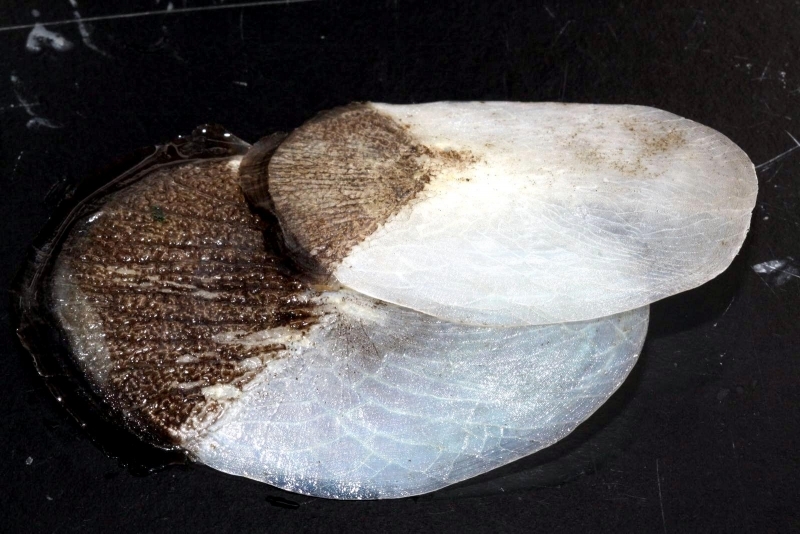 In the low water months (February to April), both the male & female constructs nests and lays the eggs. 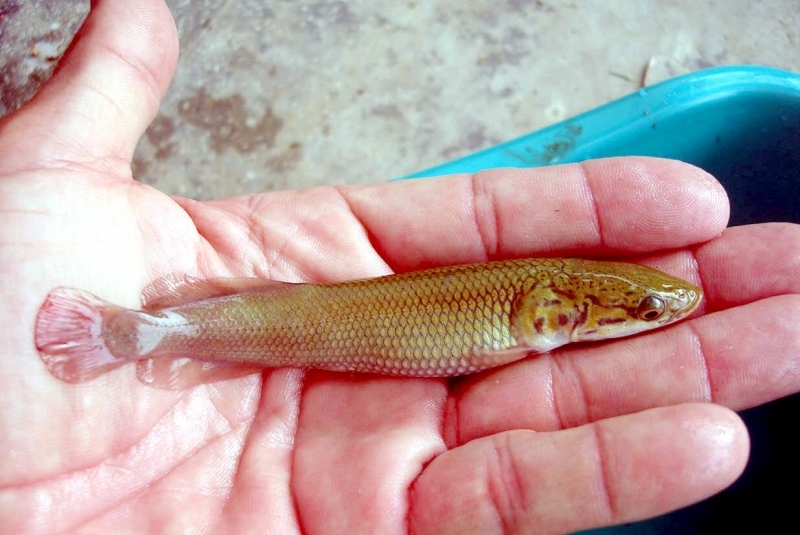 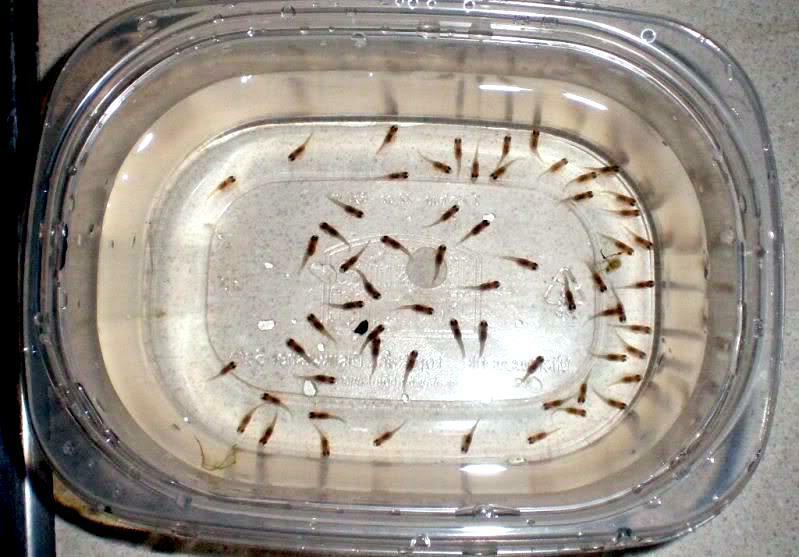 The offspring hatch at the perfect time when water levels begin to rise and flood conditions allow them to flourish. 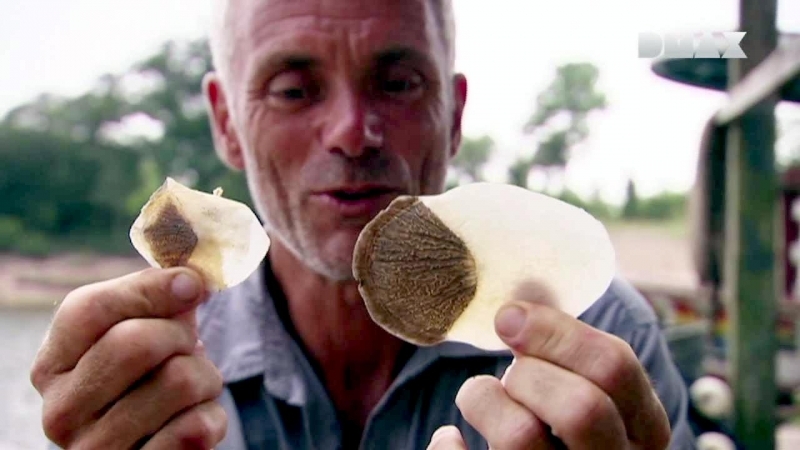 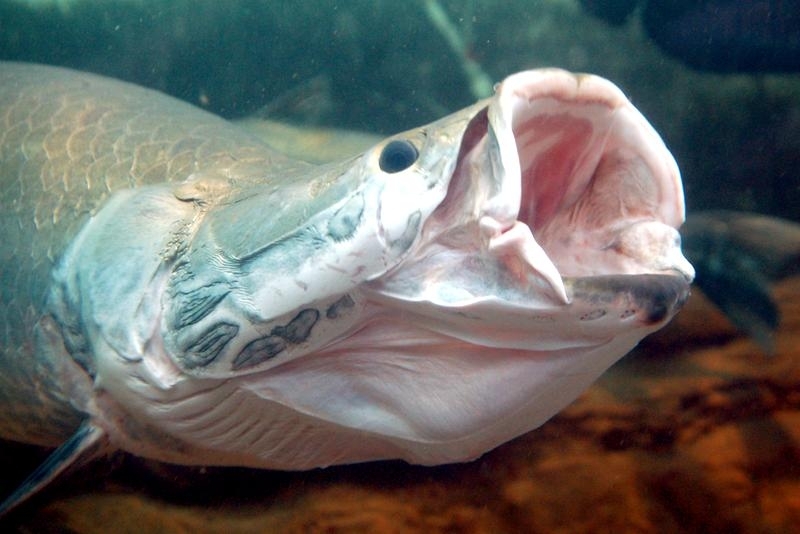 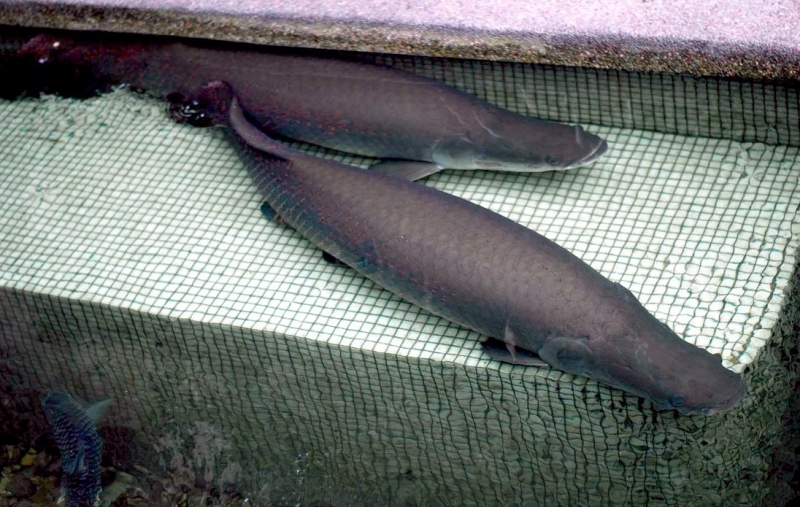 Another interesting fact is how the male Arapaima incubates tens of thousands of eggs in their mouths. 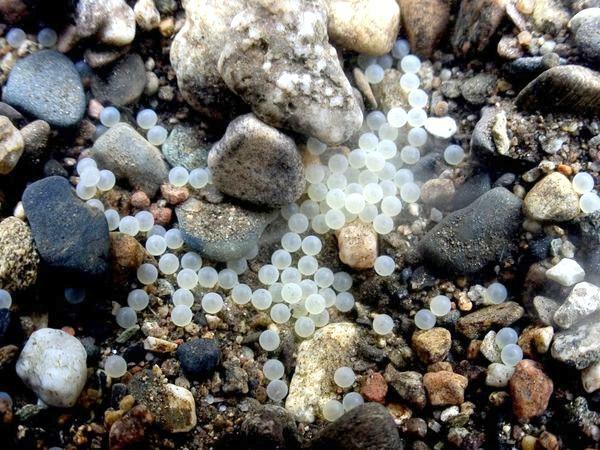 They become very aggressive & protective and when necessary move the eggs to safety. 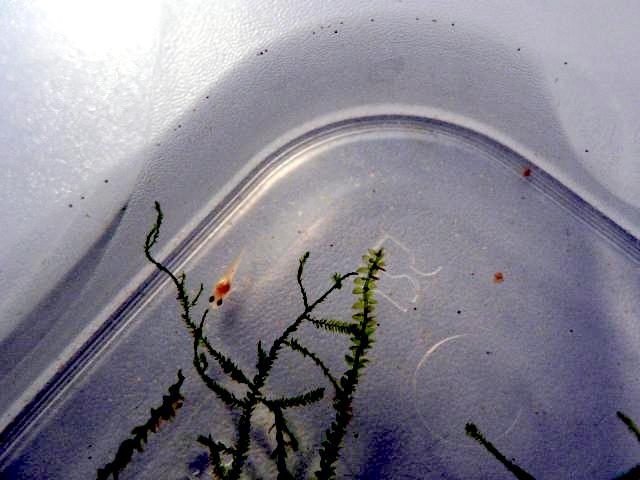 When the offspring are hatched, their parents can communicate with them via the secretion of a special hormone from their heads. 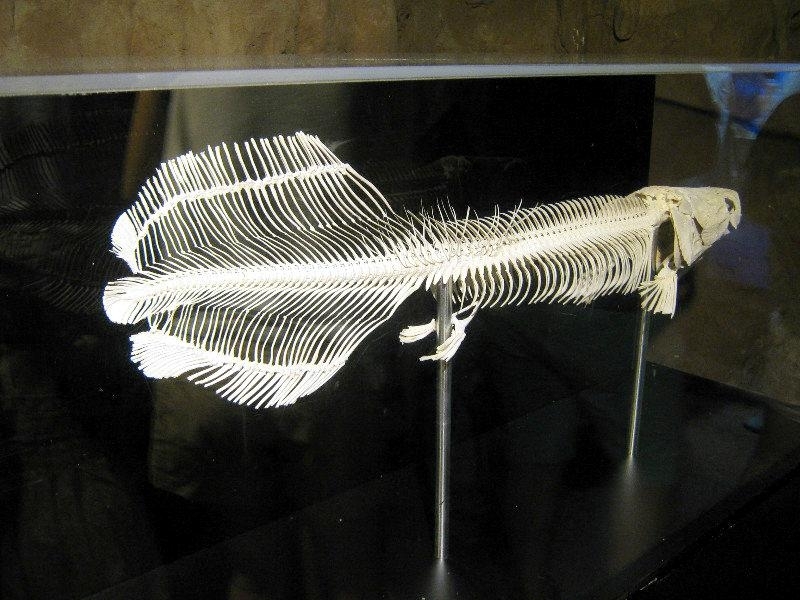 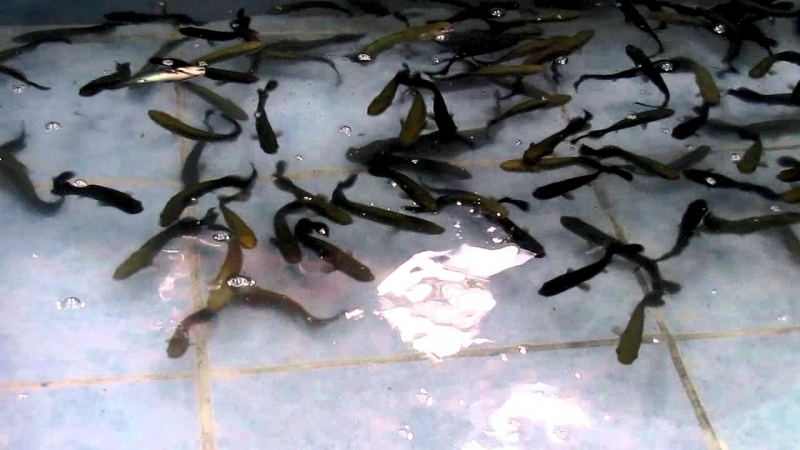 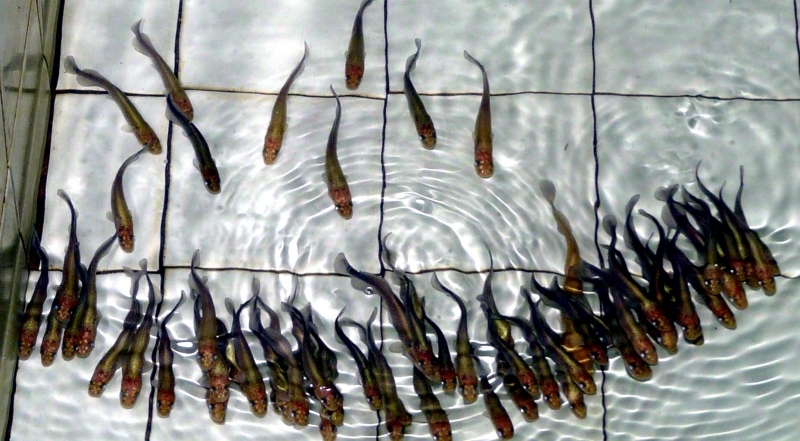 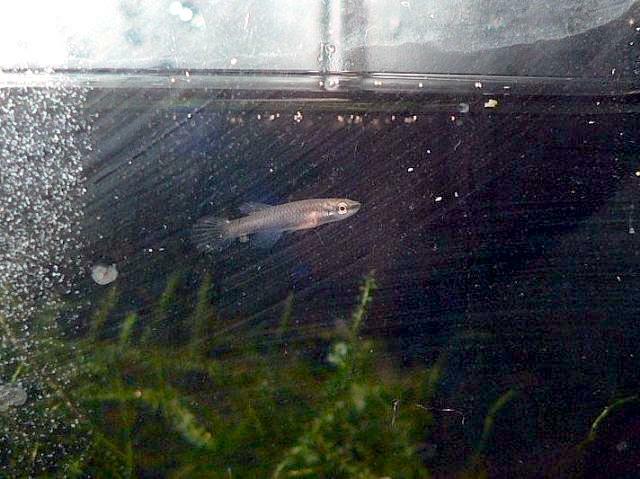 This allows the adult fish to protect their young from danger & predators.